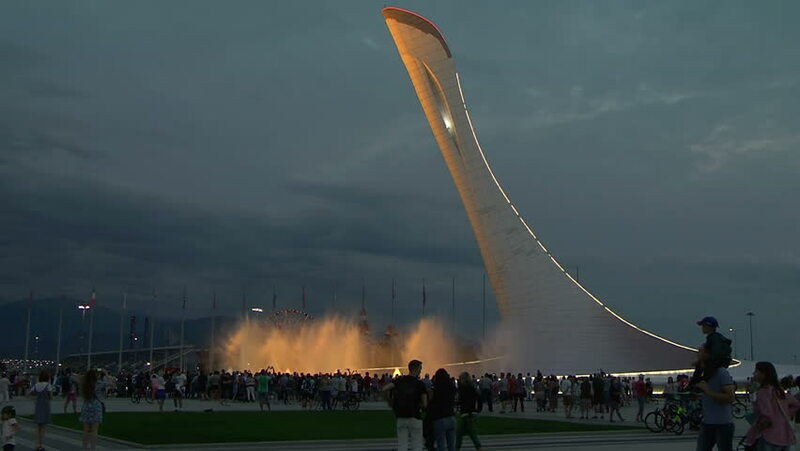 Sochi / Russia - September 8, 2018: Light-musical fountain in the Olympic Park is watched by thousands of people every day. 4k00:09Sailing. Ship yachts with white sails in the Sea. Luxury boats. Boat competitor of sailing regatta. hd00:10Phetchabun, THAILAND-OCTOBER 15, 2016: Wind Turbine Located mountains, rotating amidst beautiful mist at Khao Kho Phetchabun, Windmill is device converts wind's kinetic energy into electrical power. hd00:12People Playing Volleyball at Sunset on the Beach. the Action in Real Time.